Don’t let the floppy hat and rolling English countryside on the cover fool you. 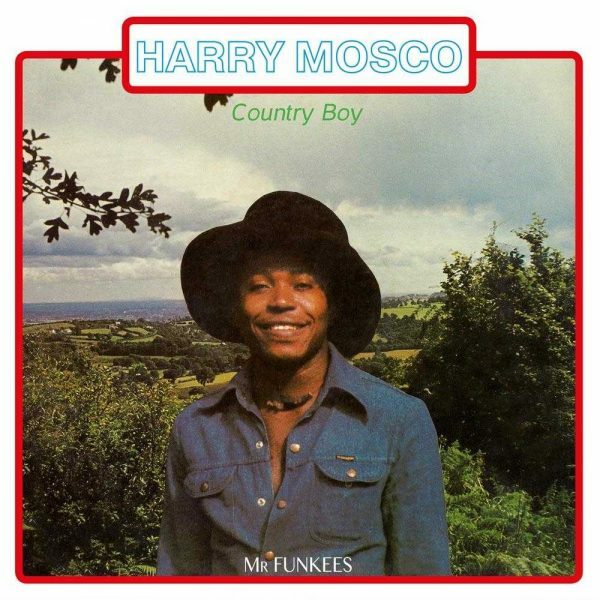 Harry Mosco’s Country Boy is a certified floor-filler, bursting with Studio 54 era disco-funk as well as a token reggae monster, complete with its own dub version. Harry Mosco always had swagger. A founding member of The Funkees, he’d stride out on stage in tight pants and dark sunglasses, commanding the attention of a population distracted by war. When The Funkees split in London, it was clear that his star would rise the fastest. Released in 1978 by fledgling Taretone label, Country Boy went on to become one of the best-selling Nigerian records of all time. The first few bars of ‘It’s Too Late’ are guaranteed to get on the dance floor. Sam El’Salahi’s slinky bassline on ‘I Feel Funky’ will keep you there. And ‘Harry’s Party’ is a celebration you never want to end. The title track, and its dub doppleganger, are a reggae-tinged chance to catch your breath, before ‘The Wanderer’ drags you back on the dancefloor until the house lights come on. Grab this PMG re-issue and enjoy the sweat and the swagger of Harry Mosco in his pomp all over again.